Summer camp is an excitable time for all ages. The school year is over. Your excitable 4-year-old is home for the summer. You want your child to continue their education. Whether it’s to help them do activities or you cannot take care of them over the summer, a summer program is a perfect opportunity. There are many different types of camps your preschooler can go to. The benefits of a summer program could help your child prepare for the school year or even for kindergarten. Attending a summer program will benefit your preschooler in many ways. It helps the children begin to build structure, preparing them for when they go off to regular school. The activities provide a way for your child to gain many skills. Math, writing, and reading can be skills learned. If your child has not yet been to a school, independence is another benefit. 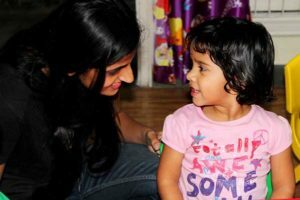 Your child will learn how to interact with other children and trustworthy adults when you are not around. According to summer program statistics, summer camps help children gain achievement in school. Sending your child to a great summer camp will help your child be the best that they can be before they begin kindergarten. For your child to get the most out of their experience, the camp should have plenty of activities for them. Each activity should enhance their education as well as entertain them. Activities can have art, music, swimming, sports, and other kinds to keep your child entertained while learning. Every parent wants their child to be safe whatever activity they are doing. That is why it is important for there to be good supervision. There should be counselors for the campers, and at least 2 with each group. For preschoolers, the counselors should always be with them until the end of the day. You should make sure the place you choose has quality supervision of their campers. Whatever the need of your child, the camp should be able to provide it when you’re not there. For example, if your child has an allergy, the summer camp should be able to address it. Children should be able to bring their own lunches in case they have an allergy. If not, an alternative should be provided. If an allergic reaction does occur, counselors should be prepared. If your child has a special need and can attend the program, assistance should be provided. If possible, your child should receive as much help as possible. However, your child should still be able to enjoy all of the camp activities. Summer camp can be a time to spend outdoors playing in the environment. The program of your choice should have plenty of time dedicated to outdoor play. Whether it is daily or through field trips, preschoolers should have time to be outside. It allows them to get fresh air and to get a lot of exercise. Children will also have a chance to explore their surroundings. Being able to explore enhances their learning and need to try new things. Your child should be able to have fun while they are learning new things. 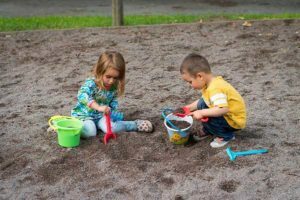 Each activity should enrich your preschoolers learning, as well as have them enjoy it. Over the summer, your preschooler should be growing educationally even while not in school. That way, they are prepared for the upcoming school year, while having fun along the way. When summer comes, it is good to have options. Having a place for your young preschooler would be a nice opportunity. There would activities for he/she to do and friends he/she could make. If your child’s needs are met and there is proper supervision, it can be a safe environment for your child to grow. With the best qualities, the summer camp of your choice will be an enjoyable experience for your child.